RIO GRANDE CITY — Marijuana brownies and $67 worth of Xanax pills may have been the motive in the murder of local teen Chayse Olivarez, at least according to testimony during a hearing Wednesday. The main suspect in the murder, 17-year-old Jose Luis Garcia Jr., told authorities in the early days of the investigation that Olivarez robbed him of the aforementioned items, according to Eric Lopez, a Texas Ranger investigating the case. These details came during a certification hearing in which a Starr County judge will decide whether another suspect in the case, a 16-year-old who was allegedly present during the murder, will be tried as an adult. The hearing will continue Thursday, when the defense will finish presenting its case before the judge makes a decision. Lopez testified Wednesday about his interviews with two of the three suspects in the murder — Garcia and a juvenile whose certification hearing is still pending. According to Lopez, the juvenile he interviewed admitted to Garcia offering him money to help pick up Olivarez and lure him to a ranch. This juvenile said Olivarez was taken to an abandoned house on the ranch, where Garcia was waiting. It was there the juvenile witnessed Garcia shoot Olivarez “seven to eight times,” according to Lopez’s testimony. 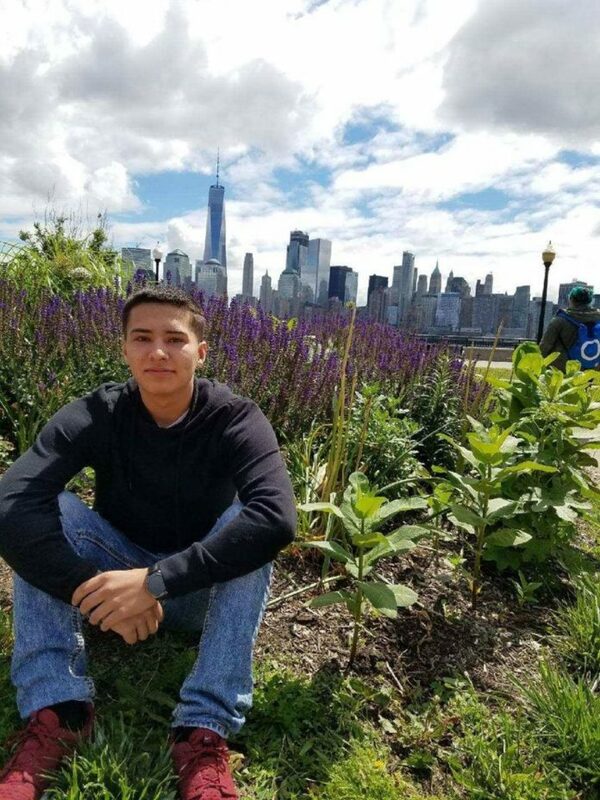 The juvenile who’s the subject of the hearing in question is one of three people charged with the July murder of Olivarez, a 17-year-old who was reported missing in late July and whose remains were discovered on a Roma ranch in August. His defense attorney Abner Burnett pressed Lopez on whether, during the interviews, the co-defendants said his client was informed of the plan to kill Olivarez. Lopez said they did not. Testimony from the first day of the certification hearing — which began Dec. 14 and did not resume until Wednesday — corroborated as much. Dario Marquez, a Starr County Sheriff’s Office investigator, said the juvenile told him during an interview that he was under the assumption that all of the teenagers were meeting up to smoke marijuana, which Olivarez was supplying. Burnett’s client maintains he had no knowledge of Garcia’s intention to shoot Olivarez and that he did not know either Olivarez or Garcia. This juvenile alleges that he was listening to music inside the abandoned house while the other three were outside when he heard gunshots. The juvenile Lopez interviewed — whose hearing has yet to be scheduled — allegedly paid two other teens $500 to pick up Olivarez and drive him to the ranch. The two teens, who have not been arrested, reported their involvement to police after the victim’s family issued a reward for information on his whereabouts. Burnett questioned why the teens are not facing charges noting, “it’s not strange, it’s downright suspicious,” of the fact they were paid a large sum of cash to drive Olivarez to Roma. Marquez’s Dec. 14 testimony also revealed that Garcia paid the same juvenile $10,000 to lure Olivarez to the ranch. It remains unclear how Garcia came into possession of this money. Garcia also paid Burnett’s client $2,000 after the shooting, and according to this juvenile’s interview with Marquez, Garcia offered him another $2,000 the following day to help dispose of Olivarez’s body. Burnett’s client alleges he turned down this cash and had no part in burning, cutting up and placing the body in three black plastic trash bags before dumping them in a Roma lagoon. However, during Wednesday’s hearing, Lopez said when he interviewed Salvador Martinez, the fourth suspected arrested in the case on charges of tampering with evidence and a corpse, Martinez said it was this juvenile who reached out to him to help dispose of the body. Burnett, however, emphasized that neither Garcia nor the other juvenile said his client was involved in the disposal.